Can you offer a loving, forever home to any of the cats and kittens currently in our care? All of our animals available for adoption are flea and worm treated, vaccinated, neutered and microchipped. Please phone our REHOMING LINE on 0845 370 7526 (all calls are charged at local rates) unless otherwise stated. Cali is a beautiful tabby/ginger & white female cat, about 4 years. Sadly she did not have a good start in life and is still very shy. She is really sweet and purrs when you stroke her. She responds well to kindness which she probably did not have before coming into our care. Cali will need a patient owner who has experience with shy cats and will benefit from a quiet home without children or other pets. She could also be rehomed as an indoor cat. If you think you can help Cali gain trust and confidence, please call us to arrange a viewing. Melissa and Alfie are brother and sister and are 5 1/2 years old. They were very much loved but sadly had to be rehomed due to allergies in the family. Melissa is a pretty ginger tabby with a little white and Alfie is a handsome tabby. 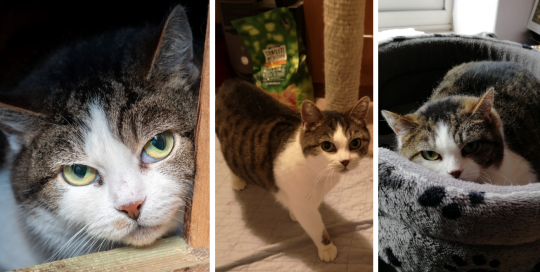 They are a sweet and affectionate pair who can live with children (aged 5+) and a dog who is used to cats. They would like to be rehomed together as they get on very well. Monty is a very handsome grey tabby, male cat who is about 1 year old. He came to us following an accident but has now fully recovered from his injuries and is ready for his forever home. 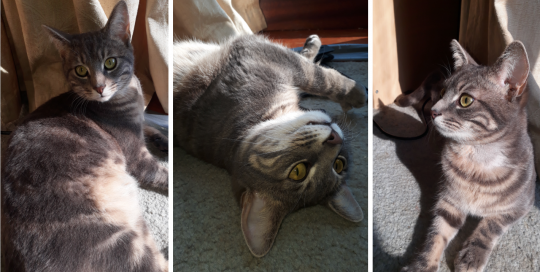 Monty is very playful and mischievous but also very affectionate. He loves company, so would love a home where he is not left on his own for too long. 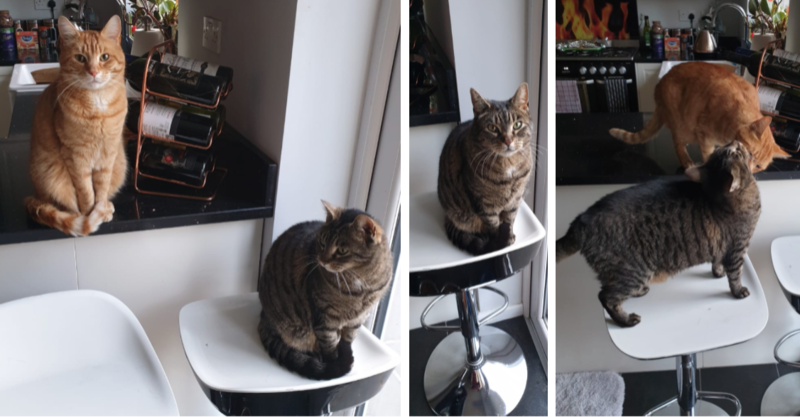 Monty could live with children age 10+ and would prefer to be the only feline in the household. We do not know if he has lived with a dog. Fudge & Frank are a delightful young pair (brother & sister), aged 18 months who would love to be rehomed together. 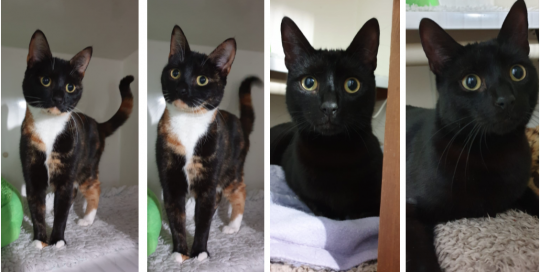 Fudge is a very sweet tortie & white female who is very small and petite whilst Frank is a big, handsome, all black male. They are very gentle and affectionate cats who get on well with each other and even cuddle up together in bed. They could be rehomed with gentle children aged 5 years+ who are ideally used to cats. They have never lived with a dog and would prefer to be the only cats in the household.